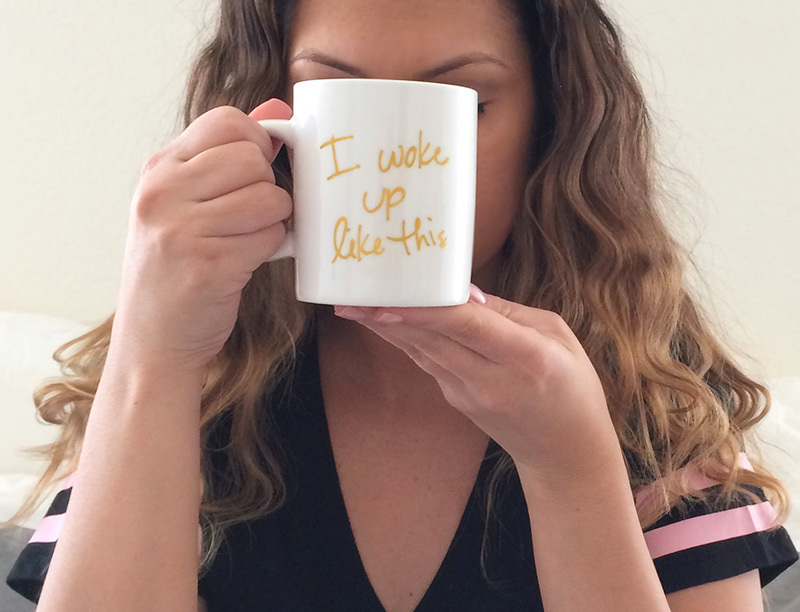 What's a better way to wake up to a fresh cup of coffee with your own very "I Woke Up Like This" mug every morning. If Beyoncé can wake up like this, so can you. It's so simple, it's flawless. Just make sure you are holding the coffee mug steady as you write. Take the sharpie and write out the words "I Woke Up Like This". I bought a second mug to having a matching pair and wrote "Flawless". I went over the same words twice to make sure it was bolder and thats it! Yep pretty flawless.